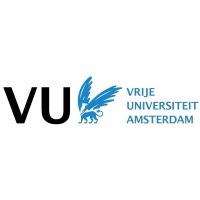 The Vrije Universiteit Amsterdam (VUA) is a large, state-funded university with more than 26,000 students and over 2,000 academic employees. The University was founded in 1880 and during the last century has continued to expand. It now comprises twelve faculties, which conduct research on a wide range of technical, natural and humanitarian sciences. Associated with the VU University is the VU Medical center (VUmc). Its core objectives are to perform patient care in close collaboration with scientific research, academic teaching and post-academic training. Our patient care activities comprise both basic care, as well as top-clinical care as a national and international referral center. In VUA’s scientific endeavors, approximately 700 researchers aspire to a nationally and internationally competitive position in their fields of science including amongst others medical philosophy and ethical reflection, patient participation and diversity, and implementation of innovative care services. The VUA and VUmc are involved in several national research centers of excellence and over forty recognised research schools. Visiting evaluation committees have repeatedly recognised the high quality of research in both the VUA and VUmc. The VUA and VUmc aim to excel in translational research directed at translating knowledge from laboratory sciences to healthy individuals, patients, populations and society. The Department of Clinical, Developmental and Neuro Psychology, Section Clinical Psychology, is a key partner in ImpleMentAll. In close collaboration with routine care providers such as the VUmc and GGZ inGeest, the Clinical Psychology Section is one of the leading research groups in eMental health worldwide and has ample experience in the development, clinical and cost-effectiveness evaluations and implementation of online and blended interventions for common mental disorders. The department of Clinical Psychology is worldwide well-known and respected for its expertise in conducting meta-analyses on common mental disorders such as depression. The department has built strong international and European networks of partnerships with research groups in Australia, Sweden, the United Kingdom and the USA and it has a major role in international, European and Netherland Society of Internet Researchers (ISRII, ESRII, NSRII). The VUA team has been successful in achieving national and European funds. The department of Clinical Psychology is embedded in the EMGO Institute for Health Research and Care of Research (EMGO +), which received the highest score possible in all parts of the international review committee in 2011. As one of the main originators of the ImpleMentAll project, the VUA will coordinate the overall scientific work program, lead WP1 (Integrated Implementation Framework: ItFits) and be closely involved in the effectiveness study (WP3), as well as the development of the utilisation platform in WP4. 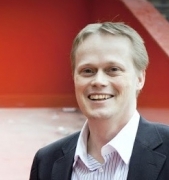 Mr. Christiaan Vis is Research associate and Ph.D. candidate in Implementation Research in the field of eMental Health. Within the context of the MasterMind project, his research focuses on processes that play a role in the implementation and up-scaling of evidence-based psychological interventions in routine mental healthcare practice. More specifically, his research focuses on the interplay of effectiveness and implementation research including health benefits, patient safety, perspectives of patients and healthcare professionals, organisational changes, costs and the wider context including reimbursement, legal, and ethical issues. Additionally, mr Christiaan Vis is part of the Project Management Team and together with Prof. dr. Heleen Riper and Prof. dr. Jan Smit, and runs the daily management of the E-COMPARED project (funded by 7th Framework program). In 2016, Christiaan was awarded a European Health Forum – Young Gastein scholarship, and a travel grant for visiting the 8th scientific meeting of the ISRII in Seattle 2016. Prof. dr. M.M. Riper, PhD is full professor of E-Mental-Health (eMH) and works at the The Department of Clinical, Developmental and Neuro Psychology, Section Clinical Psychology, section clinical psychology at the VUA, is honorary professor Telepsychiatry at the University of Southern Denmark. Her research is focused on the development, evaluation and implementation of innovative E-Health applications to promote the prevention and treatment of common mental disorders. She currently supervises 15 PhD students, 5 postdoctoral researchers, and she has (co) authored over 120 peer reviewed papers and book chapters on eMH. 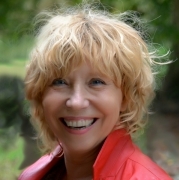 Prof. dr. Heleen Riper has ample management expertise as founder and director of the Innovation Centre of Mental-Health & Technology (Trimbos-institute) and currently as program director of eHealth of the VU/VUMC. She has been granted and managed large scale national and European research projects, such as the Mental Vitality project commissioned by the Dutch Ministery of Health and Welfare, ZonMw and the EU ICT4D, E-COMPARED, MasterMind and Ambient Assisted living projects. She was President of the International Society for Research on Internet Interventions (ISRII) from 2013 – t0 2014, co-founder of the international journal on Internet Interventions and reviewer of national and international grant proposals. She teaches, presents and publishes extensively on eMH. Dr. Jeroen Ruwaard is Assistant Professor at the Department of Clinical, Neuro- and Developmental Psychology, Vrije Universiteit Amsterdam, the Netherlands. He is an expert in eMental health interventions, and has collaborated with numerous international research groups and mental health organizations. Notably, Dr. Ruwaard was a core member of the Dutch Interapy research project, involving the development, validation, and routine practice implementation of ehealth programs for a variety of mental health disorders. His role spanned from the development of the online programs to their evaluation via RCTs. Dr. Ruwaard currently co-coordinates the EU E-COMPARED trial, in which the effectiveness of blended online treatment is compared to treatment as usual in routine practice settings throughout Europe. He chairs the Ecological Momentary Measurement & Intervention special interest group of the International Society for Research on Internet Interventions.